This post has been sponsored by Tyson Foods, Inc. All opinions are my own. 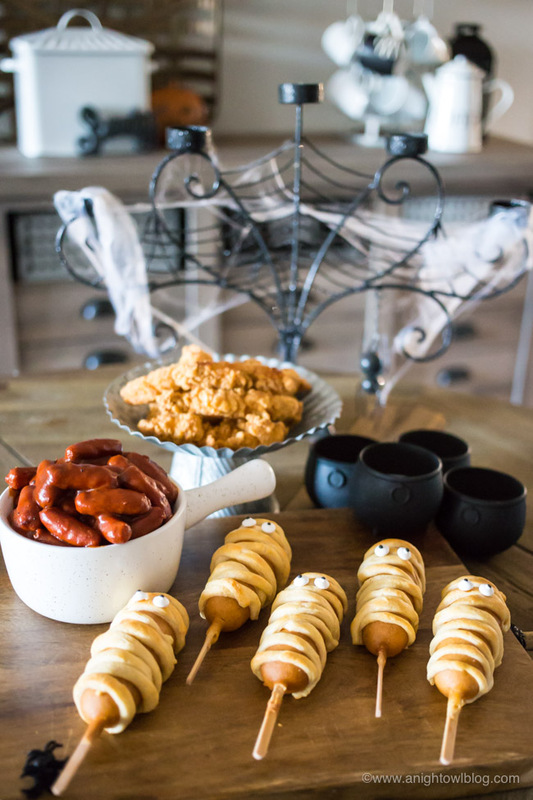 From Mummy Corndogs to Chicken Strips with Cauldron Dipping Sauces, Feast on Fright Bites and other Easy Halloween Dinner Ideas perfect to serve before a night of Trick-or-Treating! Hi friends! 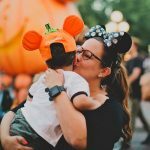 Halloween is right around the corner and if you’re like me, you’re finalizing costume plans and purchases and making plans for trick-or-treating Halloween night! One thing you don’t have to worry about is what you’re serving for Halloween dinner! 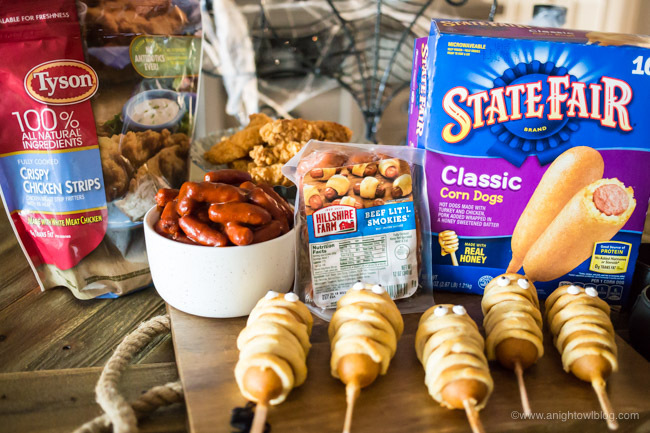 We have some fun and Easy Halloween Dinner Ideas for you with Tyson®, State Fair® and Hillshire Farm® products at Walmart! 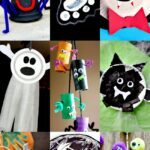 Halloween food is so much fun to make, the sky is the limit! 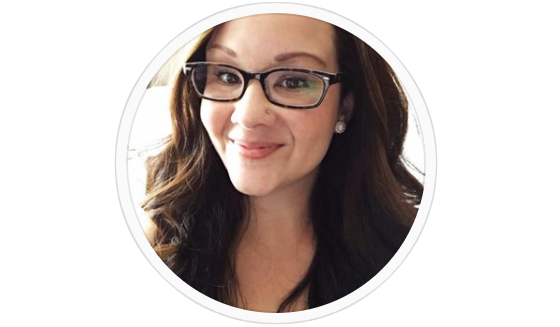 Tyson®, State Fair® and Hillshire Farm® products are my go-to because they are convenient and delicious. And add in easy and convenient Walmart grocery pick-up, and your Halloween entertaining prep will be a breeze! 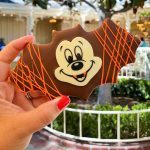 For this Halloween Dinner Spread we whipped up three delicious options for one frightful Halloween buffet! First up? 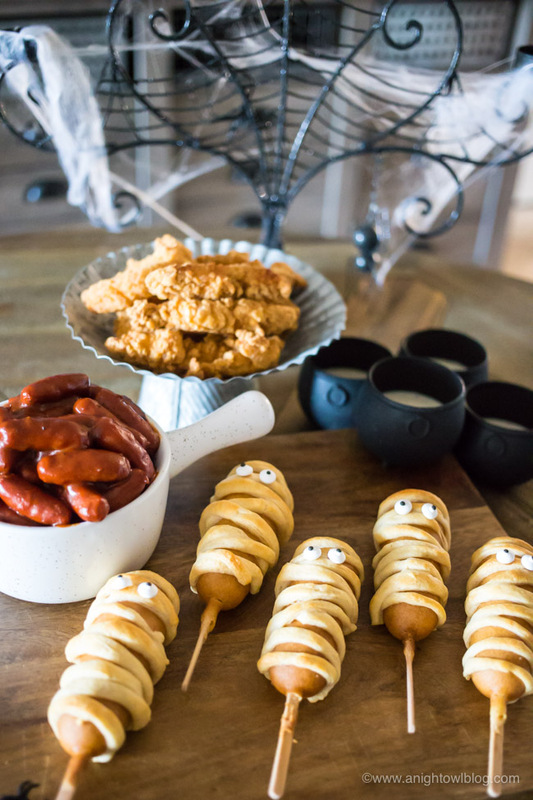 Adorable Mummy Corndogs! 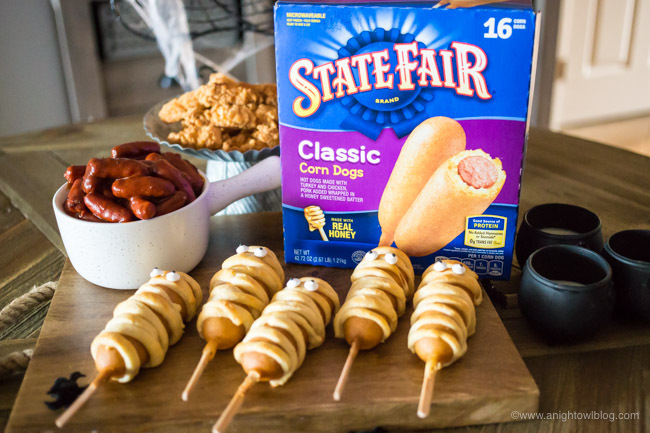 These classic corn dogs have been mummified with crispy strips of dough, a spooky snack on a stick! Wrap corndogs with strips of refrigerated croissant dough. Place back in oven to finish cooking, remove and let cool. Add candy eyeballs and serve. And the result? 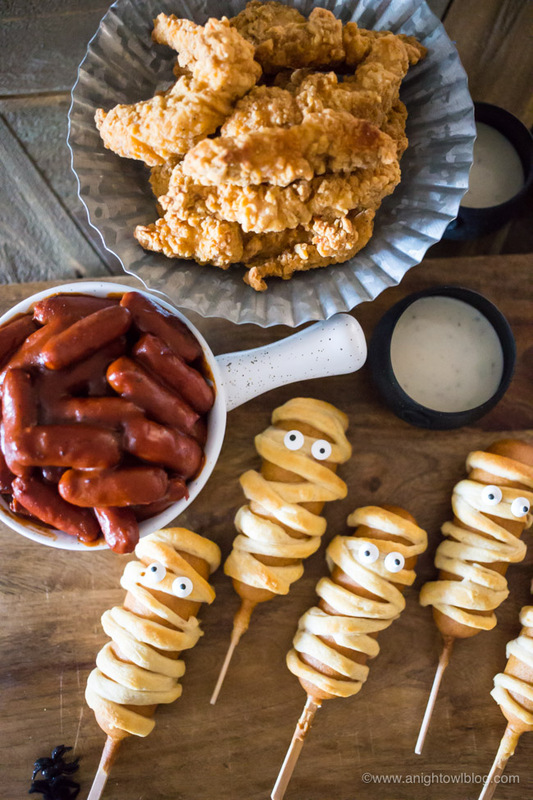 The most adorable Mummy Corndogs you ever did see! 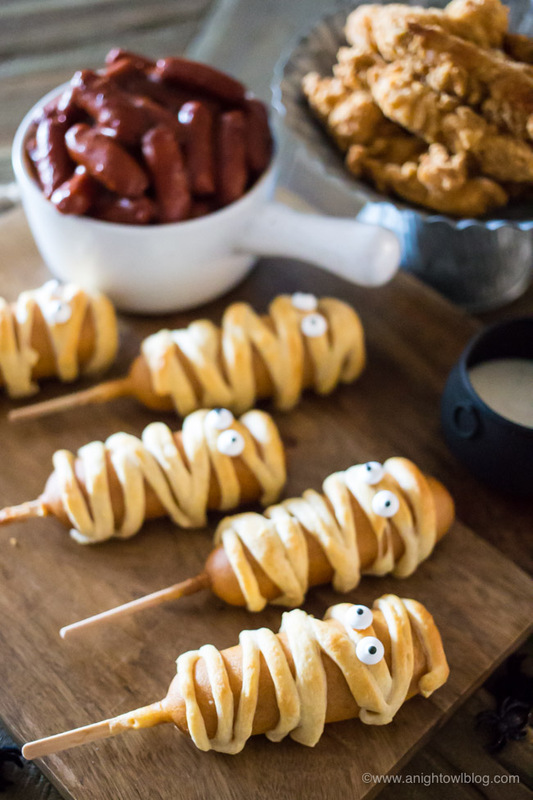 My boys really gobbled these little guys up, and I loved the twist on traditional mummy dogs – I think I like these even better. Plus, food on a stick is always a good idea! 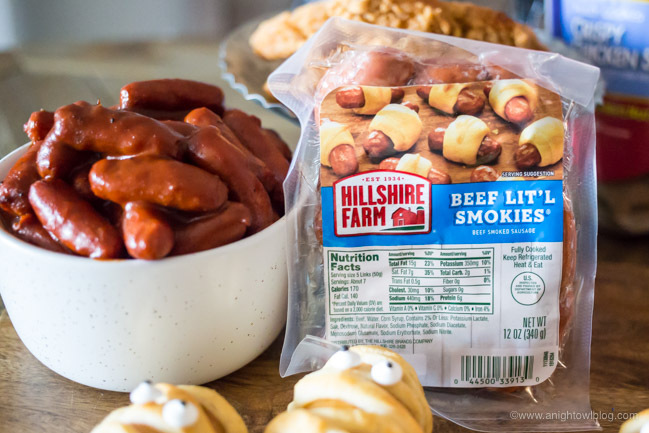 These “Bloody” BBQ Hillshire Farm® Lit’l Smokies® Smoked Sausages are packed full of flavor! Add Hillshire Farm® Lit’l Smokies® Smoked Sausages and BBQ Sauce to a non-stick saucepan and heat through. Serve in a small bowl along side your Mummy Corndogs! These little guys pack a punch! 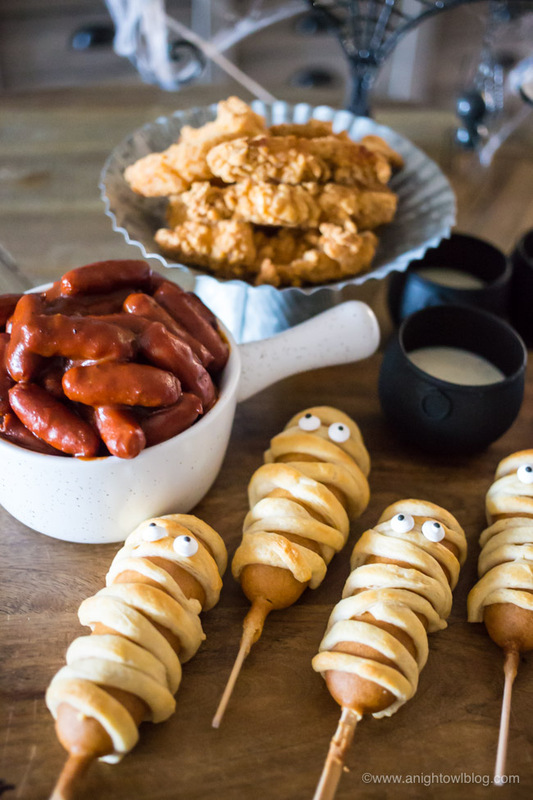 They’ve always been a favorite for my boys, so they’re perfect to serve on Halloween night! 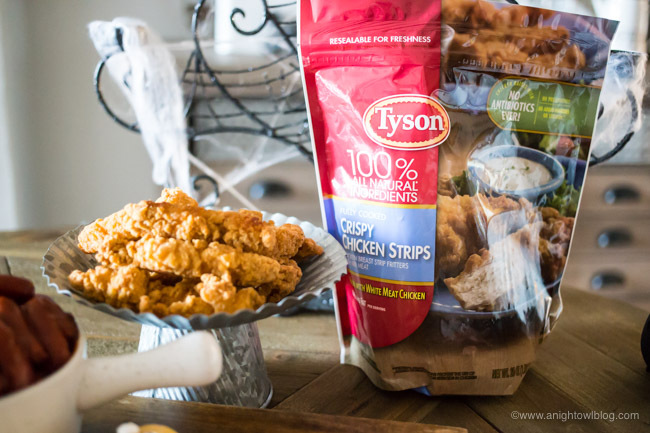 Tyson® Crispy Chicken Strips served with little cauldrons full of tasty dipping sauces! Bake Crispy Chicken Strips according to the instructions on the package. Serve with cauldrons or black cups full of tasty dipping sauces! Add all three of these tasty Halloween Treats together and you have one frightful Halloween Night Dinner Spread! So if when you’re planning your Halloween Dinner Ideas for this year, be sure to fill your Walmart grocery pick-up cart with Tyson®, State Fair® and Hillshire Farm® products! And head to FeastOnFrightBites.com for more spooky snack inspiration!